Each year on the Friday before Derby, Louisville natives head to Churchill Downs to celebrate the running of the Longines Kentucky Oaks, a Grade 1 race for the 2 year old fillies. Oaks have a special place in the heart of Kentuckians – its not just a race, it’s the material we use to make charred American White Oak bourbon barrels. For the fifth year in a row, Angel’s Envy has demonstrated their commitment to the oaks with their AE for the Trees program. 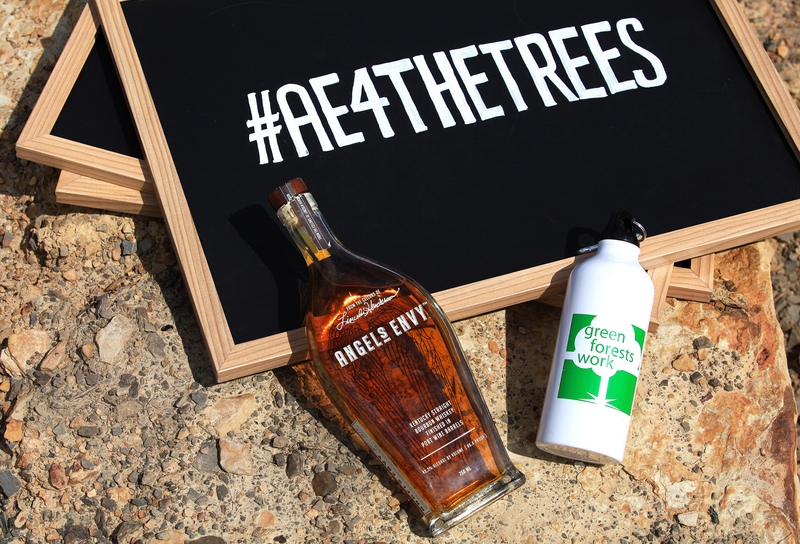 For every photo shared on social media during Bourbon Heritage Month using the tag #AE4thetrees, Angel’s Envy pledged to plant an oak tree. Angel’s Envy took a day off from distilling and took their crew to the Daniel Boone National Forest last month to keep that promise. Kyle Henderson, Production Manager at the distillery and grandson of legendary Master Distiller Lincoln Henderson, led team members from operations, warehouse, processing, distilling, and tour in a day giving back to the environment. 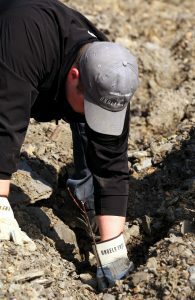 They were also joined by Angel’s Envy Whiskey Guardians, the “boots on the ground” promoting the brand around the country, all of whom took the day off to help plant trees. “Its kind of like – ‘You did a really good job, now come do more work,’” laughs Kyle Henderson. This was Henderson’s first year to make the trip, and he admits the conditions were less than ideal. After a cold, wet spring, he and his crew spent the day digging into rocky soil on damp, rough land, some of which was still frozen. Over the last decade, the Bourbon industry has dealt with a shortage in oak barrels. “With the economic downturn in 2008, a lot of loggers went looking for other work when homes weren’t being built. There wasn’t a need for flooring or walls, and barrels were just a small part of that,” explains Henderson. Pile that barrel shortage on top of a Bourbon boom – and you can start to see the need for trees. Distilleries weren’t getting the mature oak they needed – and oak trees take roughly 70 years to grow. They are similar to the cork trees used by the wine industry, who will die if their bark isn’t stripped. Oak forests also need to be sustainably harvested, to give new trees room and light to grow. “Oak plants its own acorns. In France, the oak forests are controlled by the government,” says Henderson as he describes the French oak cooperages who make the port wine barrels used to finish their Bourbon. They manage forests to ensure they’re neither overgrown nor over harvested, and trees can mature for hundreds of years. The planting team from Angel’s Envy, Green Forests Work, and the Arbor Day Foundation. This year, Angel’s Envy planted 12,000 trees. 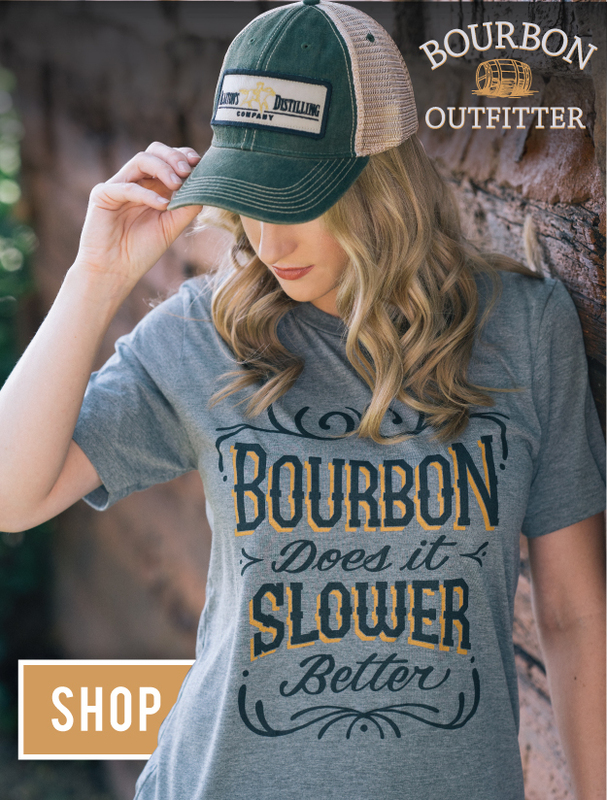 The distillery uses 15-16 thousand barrels a year, and at two barrels a tree estimates that it uses 7,500 – 8000 American White Oaks a year in its mission to bring its finished Bourbon and Rye to whiskey lovers around the world. While these trees may never be used for Angel’s Envy Bourbon and Rye, there’s certainly a possibility they’ll end up holding 50 gallons of whiskey. “We put in more than we take out,” says Henderson, who stressed the distillery’s commitment to environmental sustainability. To learn more about AE for the Trees, click here. Caroline Paulus lives and writes in Lexington, Kentucky. © 2017 Copyright The Bourbon Review. All Rights reserved.